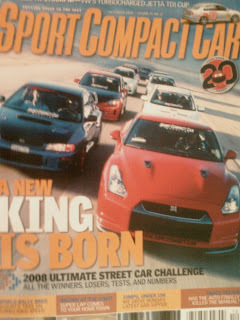 December 2008 Issue - Go Out and Buy it. This year there were 9 cars. I am not going to give out all the results or the story, just the R35 GT-R results. Overall the car didn't do bad. Even though it only finished 1st in Emissions.